A man found guilty in March of attempting to assassinate a federal judge was sentenced Friday morning to 343 years in prison. A jury found Aaron Richardson guilty of attempted murder and 23 other charges after U.S. District Judge Timothy Corrigan took the stand to testify about a shot fired into his home in June 2013. Because the victim in the case was a judge from the Middle District of Florida, Judge L. Scott Coogler, a federal judge from Alabama, was brought in to preside in the case. Coogler said just before announcing Richardson's sentence that he had virtual certainty that if Richardson ever got out of prison he would go right back into the criminal justice system. He called the attack a "bold, brazen attempt to assassinate a federal judge for Richardson's own personal gain." Corrigan read a statement during the sentencing. He said that he doesn’t think Richardson hates him, rather that he saw killing the judge as a means to an end to get out of his legal troubles. “This is simply not tolerable in a free society,” Assistant U.S. Attorney Mac Heavener said. Corrigan suggested that Richardson be held accountable not only as a punishment, but as a message to anyone else who might plan such an attack. Prosecutors said that when Richardson fired a shot through the sliding-glass door of Corrigan's home, he was facing revocation of supervised release on a conviction for attempting to make a bomb. 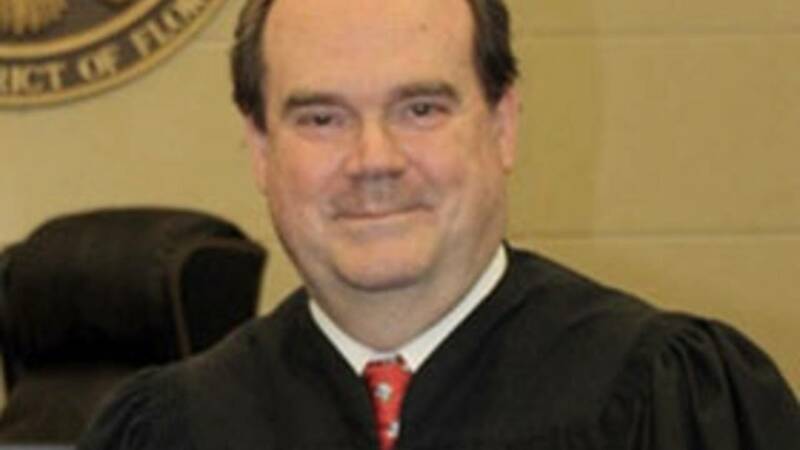 “The attack on Judge Corrigan was not only an attack on the man personally, it was an attack on the entire federal judicial system and the rule of law,” U.S. Attorney Lee Bentley said. "Judges should not fear that their impartial decisions will subject them to threats of reprisal or even worse physical attacks (or) attempted assassinations." 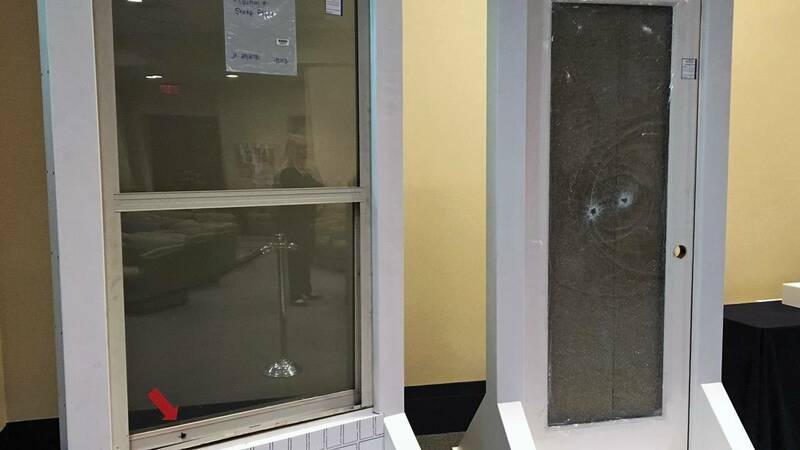 Door and window from Judge Corrigan's home used in evidence at trial. Hole where bullets were fired into the the home. 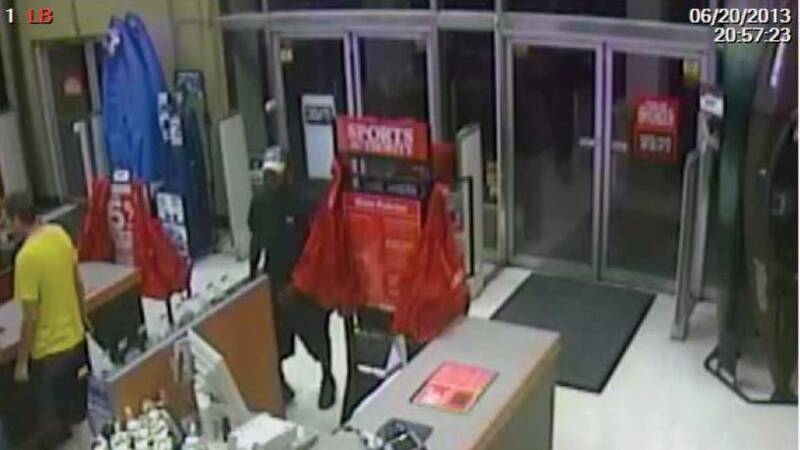 Surveillance video from Sports Authority store, where gun was stolen. U.S. Attorney Lee Bentley III speaks at news conference after sentencing of Aaron Richardson. Bentley said the U.S. Marshal's Office does a good job of protecting federal judges, and that the last successful assassination attempt against a federal judge happened over 25 years ago. “Judge Corrigan was 1.6 inches from becoming the next federal judge murdered,” Bentley said. FBI Special Agent Michelle Klimt said that the bullet that missed Corrigan by a few inches as he was watching television with his wife went through two walls and a window. Corrigan suffered minor cuts from broken glass. Richardson was accused of stealing a .30-06 rifle and a box of ammunition from the Sports Authority on Arlington Expressway on June 20 or 21, then using it to fire the shot into Corrigan's Southside home. Richardson was caught on surveillance cameras at the sporting goods store. Heavener described the elaborate plot of Richardson to kill Corrigan, saying Richardson stayed in a Regency Sports Authority after it closed, carefully sneaked through it and cut the trigger guard to free the rifle from its security cable. Before stealing the gun, Richardson spent time talking to the store manager about the highest powered rifle they sold, authorities said. He also used other people’s phones, thinking he could avoid a trail leading back to him, but the FBI lab in Quantico was able to match his DNA on the gun and electrical tape on the gun to that found in Corrigan’s yard. “At the same time he was bold, he was very cunning,” Mark Devereaux said. But the attorneys representing Corrigan said Richardson had never handled a firearm before and that fact likely saved Corrigan's life. Devereaux recounted Richardson’s position about 30 feet from the window of the Corrigan home. Using a scope, his aim was a little higher than if he had used hard sights on the rifle. “His inexperience and incompetence is why Judge Corrigan is with us today,” Heavener said. The bullet broke into two pieces after going through a door and into drywall in an adjacent room in the home, showing just how powerful the rifle is, authorities said. 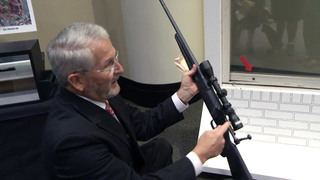 The FBI lab in Quantico was able to match the bullet to one of three weapons, which included Richardson’s. Richardson was arrested at his Westside apartment less than 48 hours after the shot was fired at Corrigan's home. "This investigation started with no witnesses and no evidence, other than the fragment of a bullet recovered at Judge Corrigan's home," Klimt said at the time. Richardson was charged with attempted murder of a U.S. district judge, discharging a firearm during a crime of violence, theft of a firearm from a gun dealer, possession of a firearm by a convicted felon, possession of a stolen firearm, impersonating a police officer, five counts of false statements to an FBI agent and nine counts of false statements to a probation officer. Prosecutors said that before the assassination attempt, Richardson had forged Corrigan's name on a document ordering all state charges against Richardson be dropped. He may have been trying to kill the judge to cover up the forgery, authorities said. 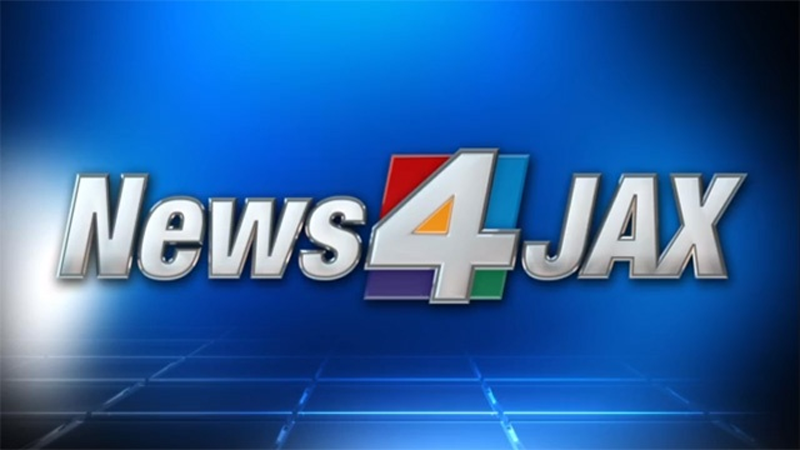 The jury found Richardson guilty of all but one of the offenses. During the sentencing, Richardson showed little remorse for firing the shot at Corrigan and implied that he was innocent, asking where everyone would be when the truth comes out. Attorneys said that after the failed attempt, Richardson looked up how to not only make the gun quieter but also how to shoot it more accurately. Prosecutors said Corrigan's behavior as a federal judge was unaffected by the attempt on his life.